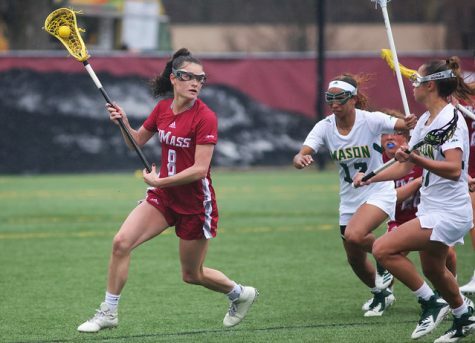 While the Massachusetts women’s lacrosse offense outclassed St. Bonaventure 11-6, including a four-goal run to end the first half, it was the defense that won the game for the Minutewomen on Sunday. 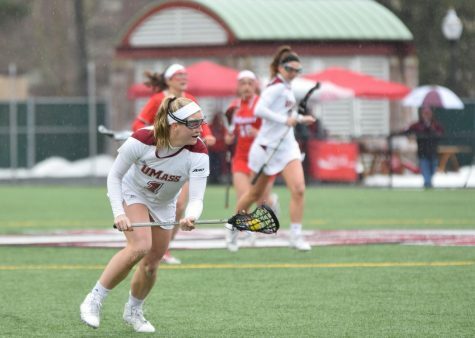 The defensive side for UMass (7-7, 4-1 A-10) held off the Bonnies (7-7, 2-3 A-10), who are at the top of the A-10 with 12.54 goals per game entering the contest, to a single goal at the end of the first half. The Minutewomen defense held St. Bonaventure to an unassisted goal in the opening minutes, a sure difficulty as the Bonnies lead the A-10 in assists per game as well with five. 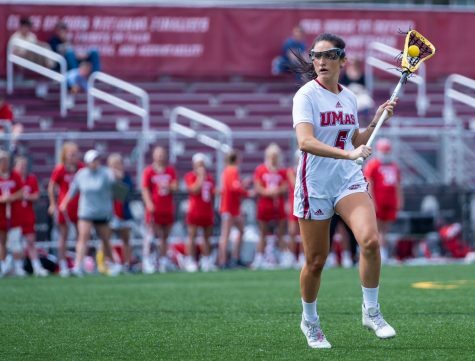 “We kept continuing to fight,” UMass coach Alexis Venechanos said. 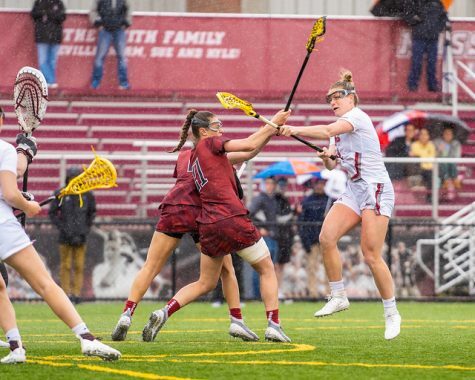 Another accomplishment for the Maroon and White defense was its ability to maintain St. Bonaventure in draw controls, holding it to a pair in the first half, despite the Bonnies topping the A-10 in the same category with just over 13. In the first half, UMass’ defense caused eight turnovers on the Bonnies, who sit dead center in the conference in turnovers per game, with just over 16. 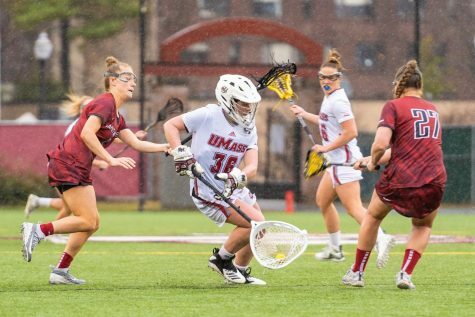 Goalkeeper Katie Florence (seven saves) held her own as a part of the Minutewomen defense. 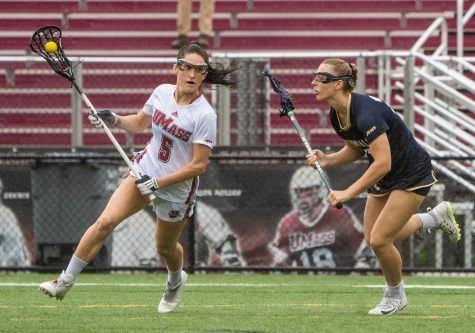 Despite letting up three goals in the opening 11 minutes of the second half, two came from unassisted efforts, with the latter goal, scored by attacker Danielle Drabin, coming from a free-position shot. Florence had a game-changing stop near the 17 minute mark. 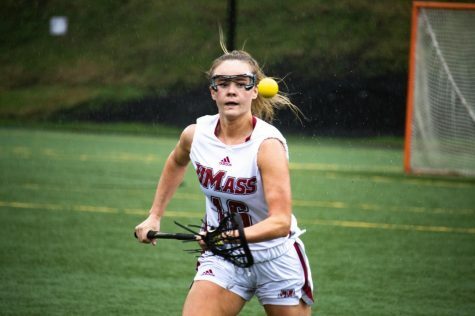 After midfielder Merritt Cosgrove shoved a St. Bonaventure defender and received a yellow card, midfielder Christina Hanley took a free-position shot on the sophomore goalkeeper. 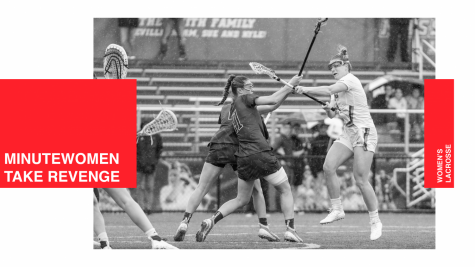 Florence saved the shot and gave the ball back to the Minutewomen offense resulting in two scores over a span of 30 seconds. There was a play at nine minutes, 45 seconds to go in the second half that truly defined the defense. 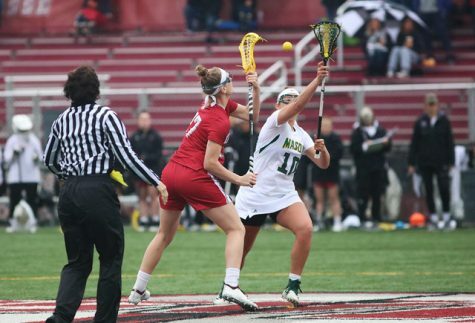 The Bonnies earned a free-position opportunity after a foul by midfielder Jordan Renna. Right after the whistle sounded, a triplet of defenders huddled around attacker Molly Hastrich to prevent her from getting anywhere near the net. The hounding resulted in a turnover by St. Bonaventure, and the ball back for UMass. 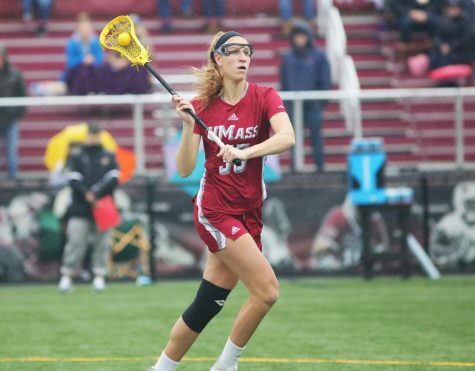 The defensive side of the Minutewomen also produced a physical game against the Bonnies. UMass committed 16 fouls over the entirety of the contest, 13 coming in the first half. St. Bonaventure responded with 23 fouls, 14 coming from the second half alone. Each team received three yellow cards as warnings to their physical contributions to the field. The Minutewomen compete again next Friday when they take on Saint Joseph’s at McGuirk Alumni Stadium. The game’s whistle will sound at 5 p.m.